Smart Education, the official representative of TOEFL Young Student Series in Hong Kong and Macau, we strives to provide high quality and innovative e-learning solutions to people in Greater China. At Smart Education, the ETS TOEFL representative offers “TOEFL JUNIOR English Learning Centre” for students ages 10+, the program lets students participate in engaging activities to enhance their reading, writing, listening and speaking skills. The meaningful exercise helps them develop both their everyday and academic English skills. 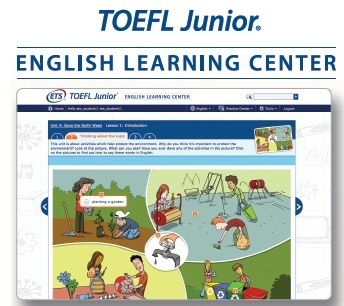 The TOEFL JUNIOR English Learning Centre not only fosters language competency in the four main skills but also incorporates needed subskills, such as skimming, scanning and making inferences. Please click http://www.toefljunior.com.hk for more information. For application, please complete the form and fax to +852 2851 8422 or email to info@mysmartedu.com. Enquiry hotline: +852 2851 3822. This entry was posted on June 3, 2015 by Ho Chloe.